NBA Philadelphia 76ers Basketball Sports Towel 12x16” - NEW! NBA Philadelphia 76ers Basketball 45” Blue Shoelaces Shoestrings - NEW! NBA Philadelphia 76ers Basketball Collectors Pins - NEW! NBA Philadelphia 76ers Basketball Shot Glass - NEW! 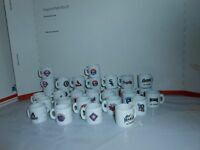 Details about NBA Philadelphia 76ers Basketball Coffee Mug - NEW! 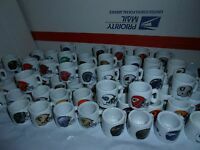 NBA Philadelphia 76ers Basketball Coffee Mug - NEW!